0089 - Photo: David Wainwright. 0088 - Photo: David Wainwright. 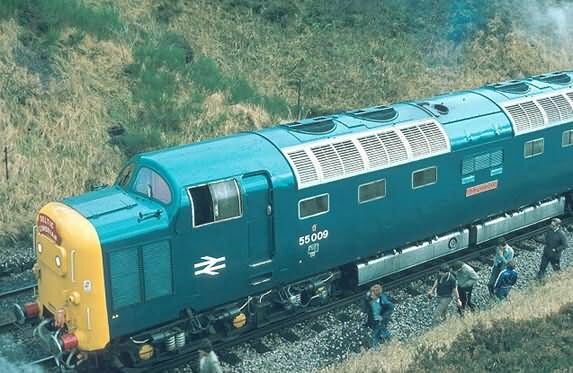 3169 - Photo: Nigel Petre Collection. ...55009 (D9009) "ALYCIDON" after arrival at Carlisle with the 1Z37 09:20 King's Cross - Newcastle "The Deltic Cumbrian" railtour (via Leeds & Carlisle) on the 14th November 1981. 14/11/81 - 1Z37 09:20 King's Cross - Newcastle, "The Deltic Cumbrian" railtour (via Leeds & Carlisle). Deltics at Work: Page 117 & 118. 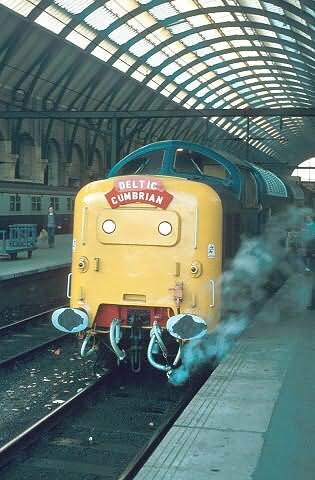 14/11/81 - 1Z37 09:20 King's Cross - Newcastle, "The Deltic Cumbrian" railtour (via Leeds & Carlisle). Deltic Deadline No.51: Page 20. 14/11/81 - 1Z37 09:20 King's Cross - Newcastle, "The Deltic Cumbrian" railtour (via Leeds & Carlisle). Deltic Deadline No.68: Page 19. 14/11/81 - 1Z37 09:20 King's Cross - Newcastle, "The Deltic Cumbrian" railtour (via Leeds & Carlisle). Deltic Deadline No.83: Page 15. 14/11/81 - 1Z37 09:20 King's Cross - Newcastle, "The Deltic Cumbrian" railtour (via Leeds & Carlisle). Deltic Deadline No.91: Page 14. 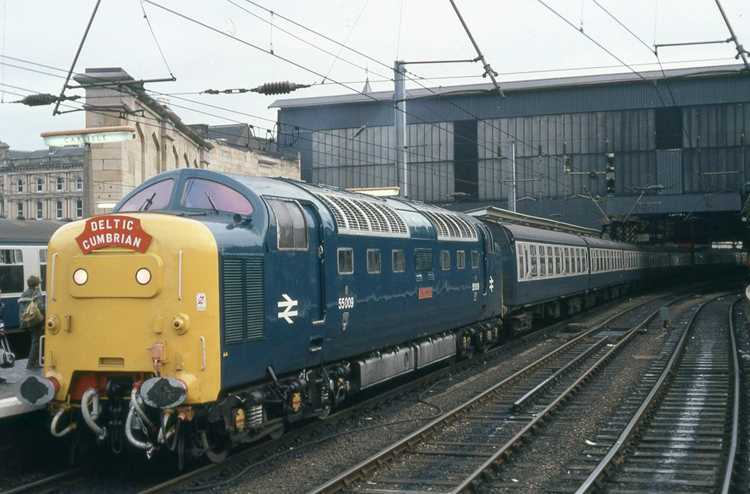 14/11/81 - 1Z37 09:20 King's Cross - Newcastle, "The Deltic Cumbrian" railtour (via Leeds & Carlisle). Deltic Deadline No.122: Page 15. 14/11/81 - 1Z37 09:20 King's Cross - Newcastle, "The Deltic Cumbrian" railtour (via Leeds & Carlisle). Deltic Deadline No.141: Page 10. 14/11/81 - 1Z37 09:20 King's Cross - Newcastle, "The Deltic Cumbrian" railtour (via Leeds & Carlisle). In Memory of the Deltics: Last Months section. 14/11/81 - 1Z37 09:20 King's Cross - Newcastle, "The Deltic Cumbrian" railtour (via Leeds & Carlisle). Last Days of the Deltics: Page 1 & 68.